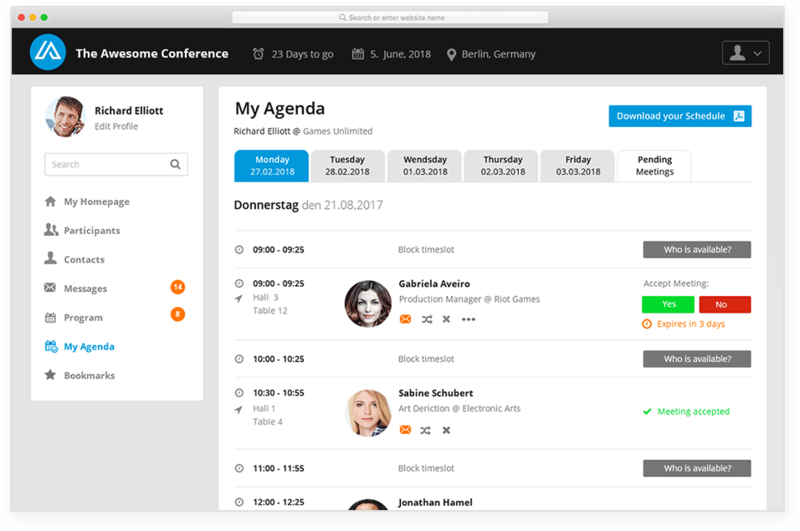 The event organizer makes it easy for you to connect with other participants at the event and schedule appointments. You can also integrate other elements of your agenda in your calendar. Below are instructions on how to build your personal schedule with interesting meeting partners and exciting content. 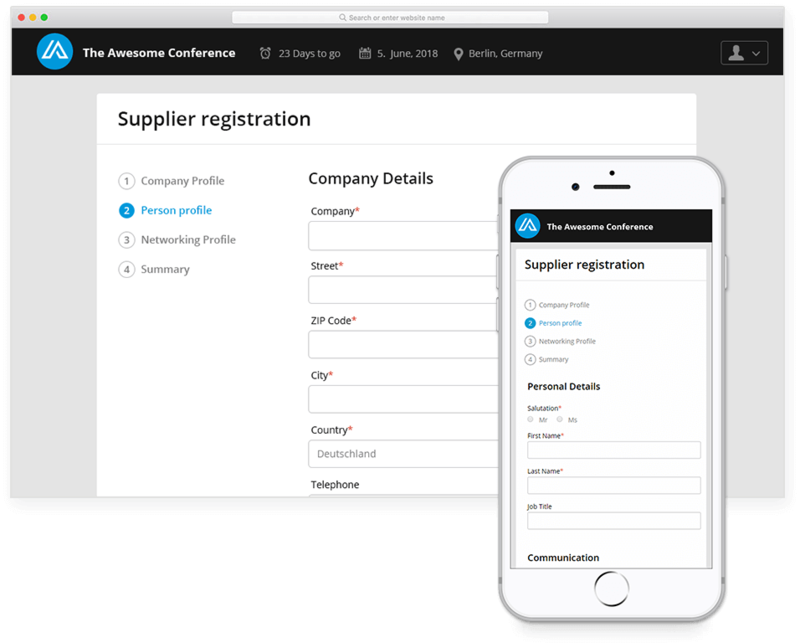 After a successful registration, you will receive an e-mail confirmation and can immediately start networking with other participants and register for workshops, speakers or other event content. Our matchmaking algorithm will provide suggestions of potential meeting partners for you. You also can use search features to filter exactly the type of participants you are looking for. Save potential matches to your favorites list. Request appointments and react to incoming requests, deciding whether you want to accept or reject them, helping you fill up your schedule. You can also send and receive private messages, block timeslots and update your public profile. We offer all the tools you need to expand your business network during the event. In the overview of the program you will find information about the event agenda, including content sessions, speakers, venue information and much more. 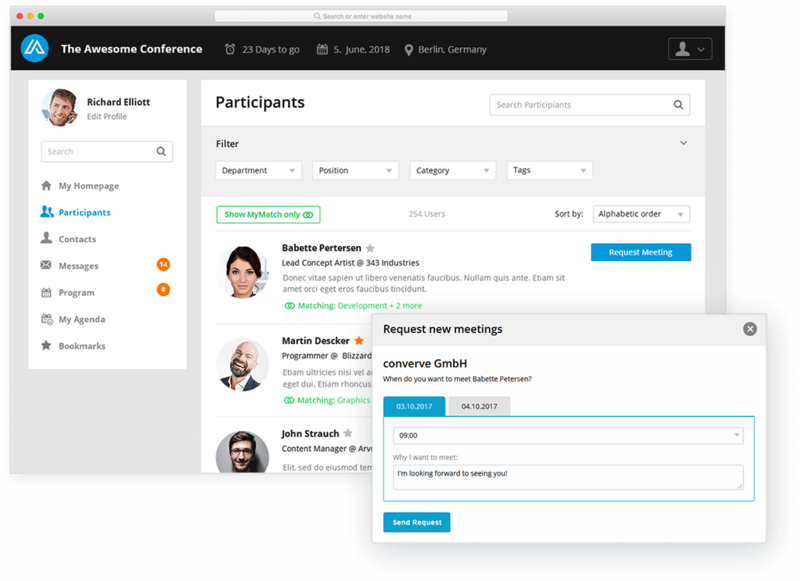 In our platform, you can create your own personal programme of events. Choose from workshops, keynote speeches and other event elements and create your agenda. Our platform can provide you with suggestions as to which content sessions might be of greatest relevance for you.